Like every version of Far Cry before it, the fifth iteration begins with an escape cut-scene – this time with your character escaping from a nutbar cult. You could also argue that FC5 is also trying to escape its previous iterations. 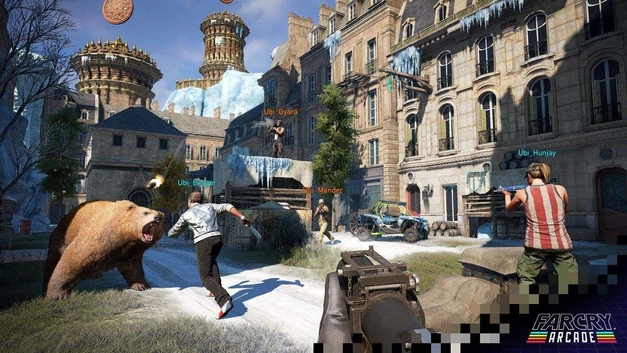 So, the big question with the fifth Far Cry is this – is it yet another cliched Ubisoft game? Does it escape from the samey-samey Far Cry formula? Or is it more of the same pretty-looking climbing, clearing parts of the game map, wash rinse and repeat? Credit where credit is due. Ubisoft did make big changes to recent titles, including Assassin’s Creed Origins. For what it’s worth, Far Cry 5 generally succeeds in finding fresh direction too. 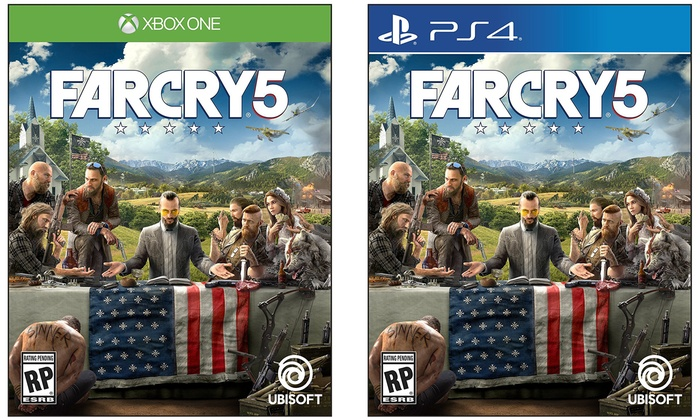 Where Far Cry 4 copped flack for being samey-samey as Far Cry 3, Far Cry 5 has its own look and feel, and is addictive too. First things first, FC5 isn’t set in an exotic African, South-East Asian jungle. Nope it instead takes place in the back blocks of rural America. Here you’ll find guns and the Bible go hand in hand. You’ll find yourself in all-out fire fights. Now you’re shooting at the followers of a cult run by three demented brothers. Cosmetic differences aside, FC5 gameplay feels far more fluid. Missions and objectives happen as you stumble across them which means much less of the painful drudgery of previous versions. With FC5, you’re driven more out of sheer curiosity than a to-do list. It felt intuitive and suited how I play. Adding more than a hint of complexity are the baddies. In previous Far Cry games, you’ve gone up against a major bad guy. Not with FC5. Here you’re fighting three villains: the Seed brothers. Each oversees a sizeable chunk of the game’s map and gives their turf a distinctive look and feel. Having three baddies means you can focus on taking one down at a time or taking on all three in parallel. This, plus the unfolding story as you progress, gives FC5 a deep and varied pace/feel. This is a big step up and fixes what the series had lacked in the past. With shoot-outs and copious quantities of adrenaline, FC5 feels a lot like Grand Theft Auto. It’s filled with an odd combination of crazy ultra-violence and satire. Game play is fun. It’s also varied, and it often feels as if you are doing good by helping Montana’s citizens battle the bizarre cult. 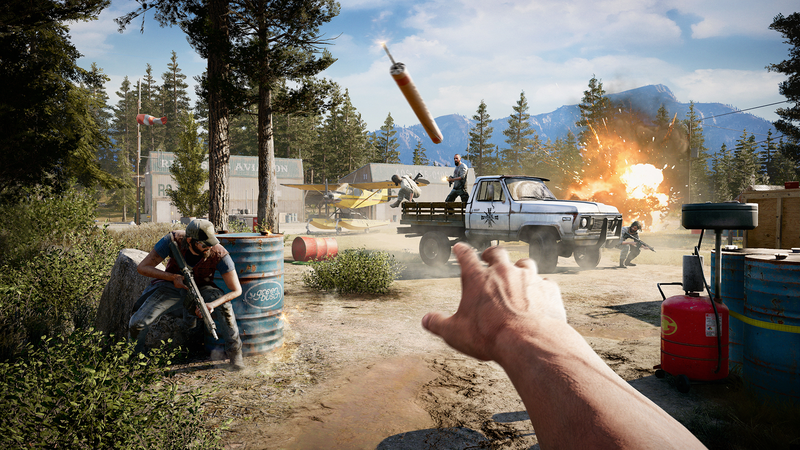 Being a sandbox type game, FC5 offers up an environment that is almost as much fun as the gameplay itself to explore. My Xbox One’s GPU worked overtime to generate the stunning scenery. Coupled with atmospheric lighting, it created plenty of peeper pleasing eye candy. If that’s the good, what about the not so good? Sometimes it feels as if deviations from the Far Cry formula are not all that deep. Game stages may be well thought out, but there’s still lots of repetition. This is unavoidable and needs to be done before you can continue. It isn’t a biggie but getting diverted into these chores is annoying and can make FC5 like previous titles. That said, there are plenty of ways to play. Stealth is an option – even though I find it monotonous, there’s no denying it is often the best way to complete a level. (It took many repeats of levels with guns blazing to find this out). It took me a while to wrap my brain around the combat system. The varied arsenal of weapons at my disposal made for fun gameplay. Limited ammo also means playing smart is key. Smart AI makes FC5 a game where you’d best get used to dying at lot. Either way, I found myself coming back for more. Adding further to in-game fun are the rich variety of vehicles you can create mayhem with. As well as jeeps, you also get to drive V8 muscle cars, weaponised tractors and other tank-like vehicles too. It isn’t all cars either, you’ll also find yourself parachuting or donning a wingsuit to head into harm’s way. So, does Far Cry 5 manage to escape the Ubisoft game cliché? I’d argue that aside from a few points of repetition, it does this. Gameplay feels more organic and compelling. Good story telling, credible characters and stunning graphics also add to immersion. There’s a real sense of discovery that makes Far Cry 5 the best so far.